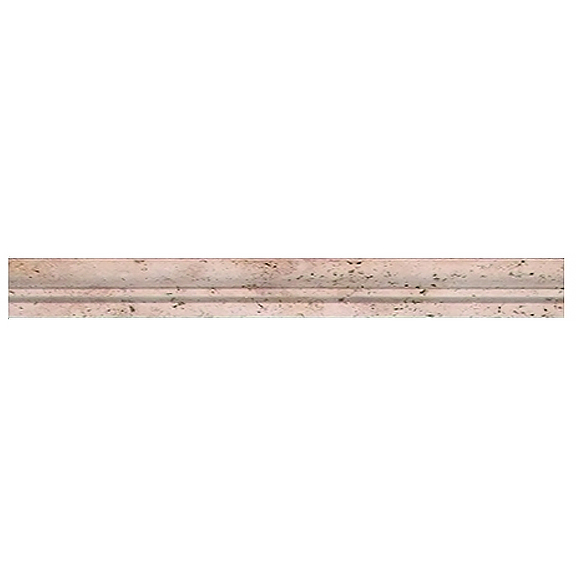 Ivory Ogee 1 Step 2"x1 1/2"x12"
Home>Kitchen & Bath>Stone Lining > Ivory Ogee 1 Step 2"x1 1/2"x12"
Ivory Ogee 1 Step 2”x1 ½”12” is a liner or thin baseboard that has two parallel scores down the lower half of the piece, resembling a crown molding. It has a lot of flecks and veins in mocha to copper shade on an apricot to ivory surface. Ivory Ogee 1 Step 2”x1 ½”12” is very durable and decorative at the same time. The scores and the color (plus texture) gives it an interesting look despite it being a narrow piece of liner. Ivory Ogee 1 Step 2”x1 ½”12” can be best used as thin baseboards on walls or as a liner for doors, windows and even fireplaces or countertops. Durango Cream Base Board 4"x3/4"x12"